When operational Internet was launched in 1983, the author never imagined if there will be billions of devices and users to be connected. But now, almost three decades later, the Internet now serves nearly 2.5 billion people and 11 billion devices worldwide. To connect to the Internet, each device must have an IP address that identifies each computer, mobile phone, tablet, and other devices. IP addresses allow devices to locate and communicate with each other online. Without the IP address, we will not be able to connect to the Internet, visiting websites, checking email or streaming video. Now, the Internet began to run out of IP addresses. Internet that we use so far has room for 2 to the power 32 addresses, or about 4.3 billion IP addresses. But a new IP, IPv6, has a wider space with 2 power of 128 addresses, or about 340 trillion, trillion, trillion (340 followed by 36 digits 0 behind it). This amount is enough for future growth. In February 2011, the Internet Assigned Numbers Authority (IANA) run out of addresses to allocate addresses to Regional Internet Registries. If IPv6 is not implemented, you will be sharing an address with some more aatau. 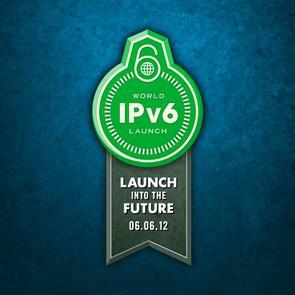 Today (06.06.2012) is today the official launch of IPv6 .Coordinated by the Internet Society , Internet Service Provider (ISP) and the hardware manufacturers will enable IPv6 permanently, parallel to IPv4.